It’s GIVEAWAY TIME again here at Buy Fencing Direct! 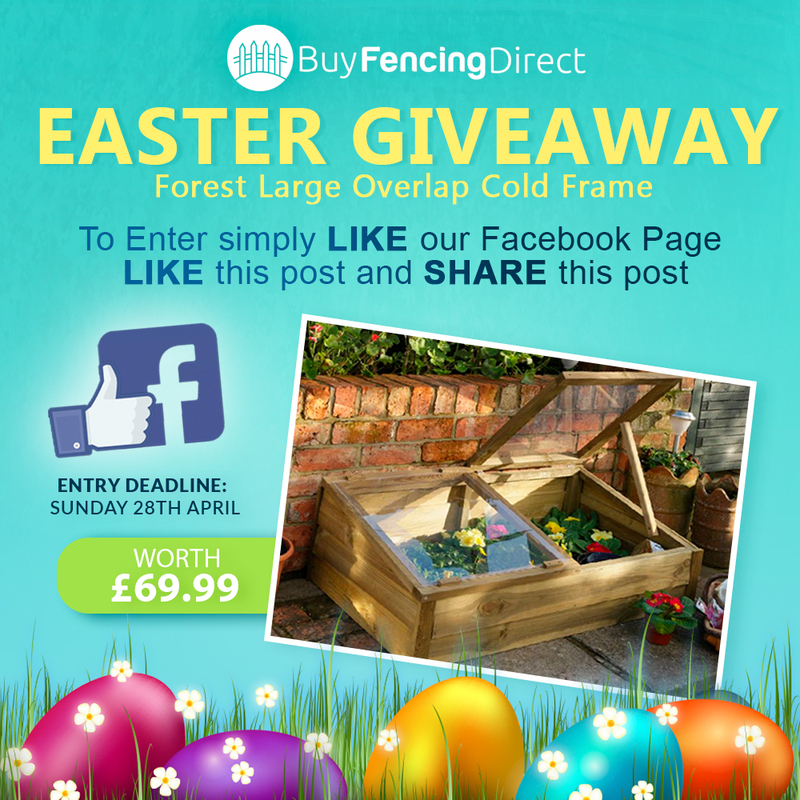 Here at Buy Fencing, we’re giving you the chance to win this Fab Forest Large Overlap Cold Frame. Designed to trap the maximum amount of light and warmth and so extend the growing season. The garden cold frames are the perfect solution for hardening off your plants before exposing them to the full force of the British weather, and growing vegetables and herbs virtually year round. We’re hosting the giveaway over on our Buy Fencing Facebook page. To be in with the chance of winning this fab prize, all you need to do is – ‘LIKE’ our Facebook page, ‘LIKE’ one of the competition posts and then ‘SHARE’ the post on your own wall for your friends to see.